Last Great Road Trip crosses over from its social networking technologies into traditional media. 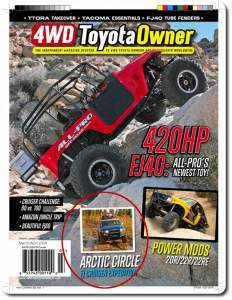 A condensed version of entries originally posted on-line throughout their off-road adventure are now in the pages of traditional media. 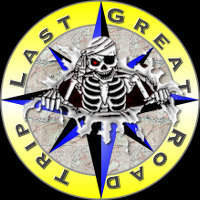 Last Great Road Trip has crossed over from its social networking technologies into traditional media. 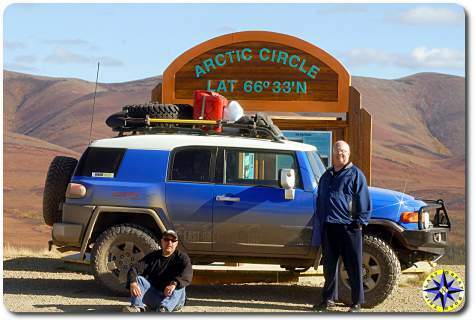 The stories posted by a father/son team of off-road adventurers that found an audience on the Internet is now in print media. 4WD Toyota Owner has published a story of the team’s adventure to the Arctic Ocean. 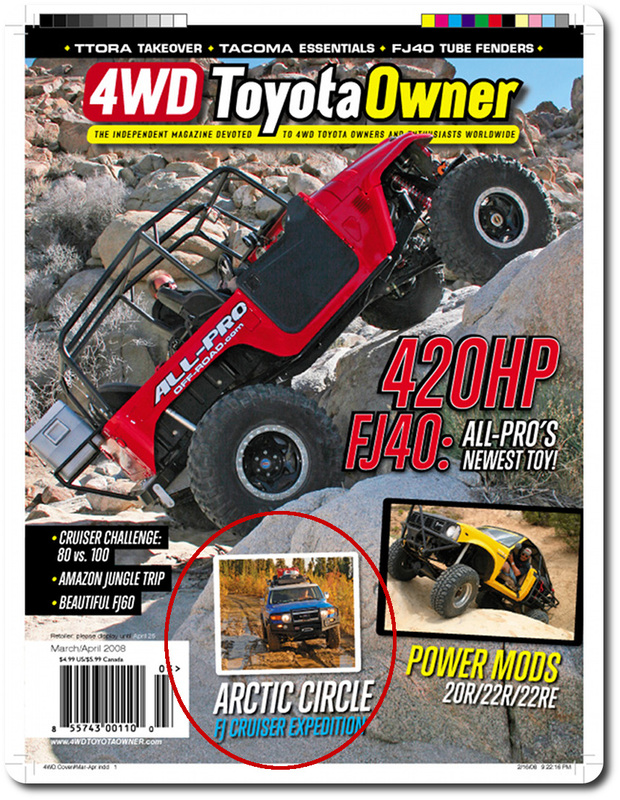 The story and images appear in the magazine’s March / April issue. 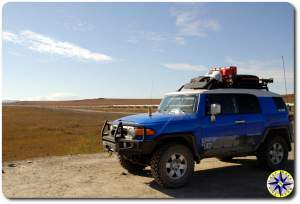 Throughout the off-road adventure, the team faithfully posted entries daily. When the expedition was over, many who followed on-line expressed their desire to experience it all over again in print. The Internet will continue to change how people share and experience life. Traditional media will continue to bring stories and images to people in ways not yet available on the Internet. And as demonstrated, the quality of the experience is about the quality of the content. Ultimately, it will be the marriage of both mediums that allows stories to be told to the world in a way that will allow audiences to experience the off-road adventure how they want in as many forms as they want. About Last Great Road Trip: A series of off-road adventures taken by a team shared with others over the Internet. The website, a social experiment and a celebration of diversity, describes the adventures, friendships, rants and raves on the road of life. Explore hidden trails, back roads and the diverse cultures that enrich this shared experience while adding your own comments to the adventure.